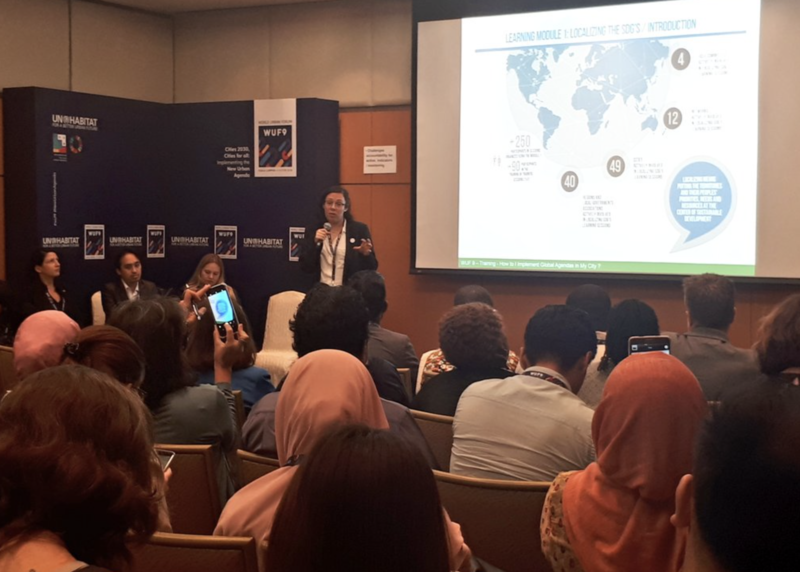 The World Urban Forum that took place in Kuala Lumpur, Malaysia from 7 to 13 February was the perfect occasion to strengthen and mobilize our global network through our learning activities. The two side events organized by UCLG were a great opportunity to share local opportunities and solutions and learn from our international partners. Learning about the localization of the Sustainable Development Goals (SDGs) allowed us to put local actions and strategies at the centre of our network. As the process of localization of the SDGs becomes increasingly important for cities and territories, as an opportunity to harness local priorities, strategies and ideas to achieve local and global goals. The training event co-organized by UCLG, the Association of Netherlands Municipalities (VNG) and the Barcelona Provincial Council brought together the experiences from a diverse range of sub-national governments and their experience in the process of localization of the SDGs. VNG, presented the key role of local government associations in the process of localization. The city of Chefchaouen presented the experience of intermediary cities, as well as, the experience of the UCLG Forum of Intermediary Cities, in relation a mapping and alignment exercise that enables cities to map and align SDGs with the local action plan. The Region of Catalunya highlighted the binding role of regions in the localization of the SDGs. Finally, the city of Durban presented the experience of alignment the urban strategic plan of the city with the SDGs. 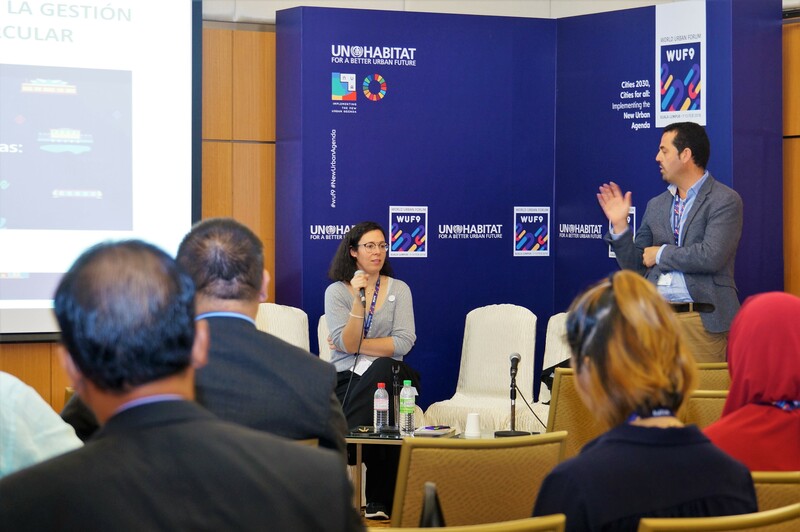 Each presentation was follow by questions and comments, which enabled participants to further explore the examples and share their own experiences and challenges in relation to the localization process of the SDGs. By consolidating the correlation between the SDGs and local realities, all experiences raised awareness of the political nature of the localization process and the challenge of overcoming thematic silos. Simultaneously, emphasized the importance of local government and local governments associations knowledge creation and of sharing local experiences and practices. The event stressed the importance of learning for practitioners and leaders, while contributing to a cohesive network with tangible results. The waste management is an excellent field to address challenges and opportunity of municipal intervention in circular economy. Integrated management and circular economies require local governments to think outside the box, look for new solutions, and make pragmatic and consolidated decisions. After a short introduction on the work carried out by the UCLG Committee on Local Economic and Social Development, participants were invited to engage in conversations and negotiations using the UCLG Role play as guideline. This role play allows participants to discuss and jointly evaluate the impact of different solutions by playing with possible scenarios. The goal of the game is to understand the concept of the circular economy, the variables that influence decision-making on waste management, and the positioning and behavior of different actors, as well as to build their capacity to debate and look for joint solutions. It is a contribution to the localization of the SDGs, in particular Goal 12: responsible production and consumption and Goal 11: sustainable cities and communities. Once concluded, all participants had the chance to learn from the example of the municipality of Cordoba, Spain. This presentation allowed participants to link the role play experience to a tangible local reality. Visit the UCLG Learning website.